Across the United States, development has put countless native plant species at risk. While this is especially the case in urban or agricultural areas, on undeveloped land invasive plant species still often crowd out critical indigenous ones. More and more, the 40 millions acres of lawn across the country offer an important conservation opportunity for these otherwise marginalized species. Because of this harsh reality, individuals can really make a difference in the fight to save native plants by using them in their own yards, conservationists say. And the benefits go both ways as property owners can add value and appeal to their land by planting native—creating a win-win for people and nature. 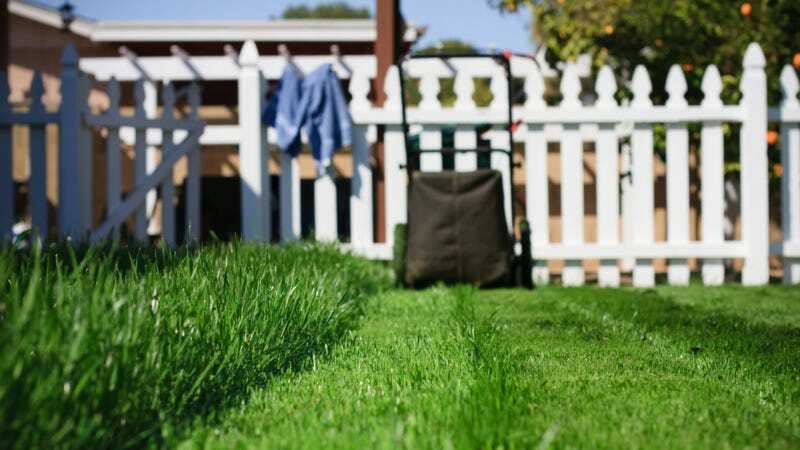 Doug Tallamy, chair of the Department of Entomology at the University of Delaware, thinks it will take a cultural change for Americans to see lawns in this new way. "Each person's property is a very important part of conservation these days," said Tallamy, who thinks Americans have become trapped in thinking of humans and nature as being separate. "We have to change this to 'we're going to live together now,'" said Tallamy. "It means you pick plants that are part of the ecosystem—not from China," Tallamy said. "You walk down the streets and it’s quiet, there's no birds except the crows that feed off of human garbage." Tallamy recently conducted a study on Portland, Oregon, which is known as the "greenest" city in the country. But 92% of the street trees are not native to the Pacific Northwest. Most are from Asia or the East Coast. Tallamy, whose specialty is the study of insects, says the loss of native plants puts native insects and the biodiversity they support at risk. For example, a native oak tree can support the caterpillars of over 500 species of butterflies and moths. The caterpillars, in turn, feed the vast majority of songbirds. A pair of chickadees needs us much as 9,000 caterpillars to produce one clutch of babies, Tallamy said. So if your yard doesn’t have native trees that support caterpillars, the birds can’t breed there. "A world without biodiversity is a world without humans," Tallamy said. The National Wildlife Federation launched a website this month based on Tallamy’s research to help people find native plants based on their zip code. In some cities, conservationists host native plant sales to help increase their use in landscaping. Mead Botanical Garden in Winter Park, Florida, has hosted “Backyard Biodiversity Days” for three years. "Right now our backyards are little blockades where not much wildlife can traverse across." "Backyards can make a huge difference," said Catherine Bowman, president of the Tarflower Chapter of the Florida Native Plant Society. "Right now our backyards are little blockades where not much wildlife can traverse across or use because of our choice to focus heavily on nonnative plants which our native wildlife didn't grow up with," Bowman said. That's why Bowman organized a the first "Backyard Biodiversity Day" almost four years ago. "We're going crazy with development here (in Florida) so we thought why not have a big celebration of using native plants in our yards where people can learn about getting that biodiversity back," Bowman said. On Backyard Biodiversity Day, the Garden hosts experts who hold workshops on topics like how to use native plants in landscaping and how to use native plants to support pollinators. They talk about how biodiversity starts with native plants, lead hikes where they identify native plants and birds, and hold a native plant sale. "It's a great thing and it's getting bigger and bigger every year," said Bowman. The event is held in October because Florida has two flowering seasons, one in the spring and one in the fall, she added. In Bowman’s backyard are many native plant species, which she said have been easy to maintain. "We live in Florida, we should plant things that look like Florida and don't demand a lot of resources," Bowman said. Her favorite native plant is the Garbaria heterophylla, a low, flowering shrub. Garberia heterophylla in Seminole State Forest, Lake County, FL. "I like it because it's endemic to Florida," Bowman said. "It's leaves are kind of leathery and tough … and in fall, it flowers in October and November attracting a lot of pollinators. It has beautiful lavender cluster of flowers and smells really good." Since landscaping with native species, Bowman said she has seen an increase in insects and birds in her yard. "I don't see that in my neighbor's yard," Bowman said. James Louderman, collections assistant at the Insect Division of the Field Museum in Chicago, Illinois, said he's found a way to strike a balance on his property. Louderman has created a mini-prairie in his backyard but uses some non-native ornamental plants in his front yard. "I personally always make at least 20-30% of my yard native," Louderman said. "A lot of pollinators will only use native plants." The caterpillars of monarch butterflies appear to feed only on milkweed, a fragrant flower with many species native to the United States. "The more milkweed that is grown in backyards the better chance it can increase its population back to where it should be," Louderman said. Milkweed also supports other insects that eat both the seeds, leaves, and nectar of the flowers. "It's one plant that is important for at least a dozen different species of insects," Louderman said. A monarch butterfly lands on a milkweed plant. Native plants boost insect populations significantly, Louderman said. "In your backyard, if you have just a lawn and non-native plants, you'd find just about a dozen species of native insects. If you have native plants, you can usually find hundreds of almost all native and beneficial insects," Louderman said. These are not bad or dangerous insects, Louderman pointed out. In fact, the honeybee is the only one that might sting a human. "Spiders almost never bite people, so you want them in your yard. Spiders eat a lot of the pest insects like mosquitoes and flies," Louderman said. Like the other conservationists, Louderman said each yard can really make a difference.